There you are... surrounded by supportive family and friends... yet somehow, you still feel so very much alone with your sadness, grief and despair. Because people who are close to you don't know what to say anymore, or how to really HELP you. "I haven't dealt with his death very well. My family doesn't really talk about it. No one wants to upset anyone else. So I always end up crying alone. Sometimes I talk to my best friend about him, but I don't want to burden her all the time." "I have found that no one really understands the complete devastation of the loss of a spouse. Family members that miss him as well, when I hear from them, are saying things like 'he would want you to be happy' or 'just try to smile'. I feel like they just have no clue and I have this burning desire to try to make them understand, but feel like it would just take too much energy and stress me more than I can deal with." In the case of family members or friends who are not also bereaved, they may lend you a lot of comfort in the beginning, but eventually, talking about the loss becomes uncomfortable and awkward for them. 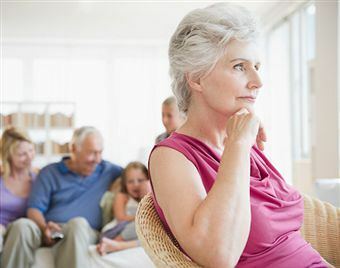 They secretly wish you would quit grieving and let things get back to normal. Telling your tale of grief to strangers who have also gone through what you have lends a very different and special kind of support. You can say whatever you want without fear of upsetting family dynamics or alienating friends. What a relief! These folks truly do understand what you are going through... they GET IT... and connect with you on a physically distant yet emotionally intimate level. For some strange reason, you will find you can bare your soul to them in a way that would be unthinkable to a family member, or even in a local support group meeting. I guess there is safety in anonymity, or comfort in distance.... whatever the reason, it WORKS! The Grief Club is a very successful online grief support group for that very reason! Our original Yourspace Blog, which has now transitioned to The Grief Club Forum, has proven how effective this type of discourse can be. So what exactly is The Grief Club? It is a brotherhood (and sisterhood) of grieving souls who have been thrown together by tragic circumstances. "This is a club I didn't ever want to belong to, but as my husband used to say, 'tomorrow comes'." "We all belong to a group that nobody wants to be a member of, so we have to stick together and lift each other up." "There is comfort in finding others that are truly understanding of your grief, that are experiencing the agony and immediate raw emotions of your pain. There is a familiarity that binds us together, a common understanding and connection." "I pray for all of us who are members. Welcome to the 'I can't do this anymore' club." It was quotes like these that got us to thinking how awesome it would be to form a real, functional Grief Club! Where members could not only post and comment normally, they could enter into private messaging if they felt a special "connection" to another club member. We could offer other "members only advantages", like Pearls from the Forums, a special grief newsletter and discounts on grief coping resources. What Are "Pearls From The Forums"? that make them easier to access when needed? Well, that's what we did... This collection formed the original Grief Club, and now we call it Pearls from the Forum. I have heard from several site visitors that one of the best coping mechanisms they found was to have something they could cling to in the storm.… a thought, a quote, a psalm or a strategy. We have amassed here a huge collection, literally hundreds, from which you can choose for yourself. As I combed through the submissions, looking for appropriate quotes and thoughts, I was blown away by the depth and breadth of wisdom I found there. May you find much comfort and help by reading these words submitted by your fellow sufferers in The Grief Club. I just know that in this collection, you will find the perfect thing to latch onto. Just the right thought, catchphrase or comforting mantra to help get you through your darkest days. ~What do I do with their stuff? In the "Pearls" pages you will find pain, fear, tragedy and much sorrow. You will be sad. You will have some "ah-hah!" moments. You will find comfort in reading thoughts you would swear came straight from your own brain! And, most importantly, you'll also find intertwined in these words a message… a clear message of hope and healing for the future. don't know your name, but I do know you. And you, too, know me. things will never truly be normal without your child. From one devastated mother to another, I understand your pain and cry for all of us." 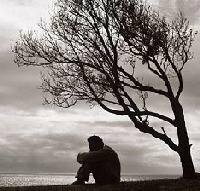 "I NEED to reach out right now...I feel so lonely sometimes... I miss my friends at times...I want friends to see me, see my pain and provide comfort - but none of them get it. Nor do I want any of them ever to know what this is...but it's just so tough to share these thoughts and feelings with someone who doesn't get it." "Friends tell me to take things day to day, but it is hour to hour, minute to minute. I can be perfectly composed one minute and dissolve into tears the next. Today was the first day I have ever been handed a box of kleenex by a bank teller..."
"You said you have read here, then you know, we hold on to one thing, one breath, one step, one day at a time. There is no more than that in the beginning, after a while the grief starts to change, but still there are many days when that is what you hang onto. I too have lost a son and he was my youngest. It is the hardest thing to go through and I'm too having a hard time. Don't you feel like no-one understands what you are going through? My heart aches like crazy, the tears are endless." "I don't know that ignoring your grief and just keeping busy with work is the wisest choice. Grief is a journey - one needs to go through it; there is no way around it, as heart-wrenching and painful as it is. Please allow yourself to grieve, to cry, to scream, or whatever suits you as often as you need to and for as long as you need to. Nearly every minute that I was not at my job, I cried, I sobbed, I begged, I wrote, I was sad, I was angry and I was anguished. I simply allowed myself to be whatever I was feeling at any given moment. And now I am finding life again. I miss my son terribly. I'm still so incredibly sad and heartbroken. I will always love him and I will always miss him, but I am now finding hope that there is life after this tragedy." "Let grief take its painful path. Just know this is "normal" and what we have all gone through. Keep reading...This Site has helped me so. Going through month 8 and I wish it just would one day disappear. That isn't the way it works, it's like a slow slide towards happiness. With ups and downs much like a rollercoaster." "There is so much living to be done by us all and we are all just trying to figure it all out. You are not alone.....Keep reading… if it were not for this site I would have lost my mind months ago. One second, one minute, one hour and one day at a time. And be proud of yourself for what you have accomplished; just coming here asking for help is the first step towards your new life." "The best thing I have learned from this site is that I am not crazy! Everyone else is going through this too... when I read their stories, I realized they were really talking about ME!" "The sadness is overwhelming and sometimes I feel like i cannot take it anymore; however one step, one breath is what i tell myself, thanks to all of you." "I also do not know how I found my way to this site but so glad that I did." Well, that's our story. We have decided to go full-speed ahead with our Grief Club. We have been told that "most forums don't make it". But I truly believe something very special has happened here on Recover-From-Grief. And I just KNOW this Forum and The Grief Club will survive and prosper as long as there is a need to provide support and comfort for grieving souls. Exclusive Forum with regular posting and even private messaging if you want to "connect" with another member. 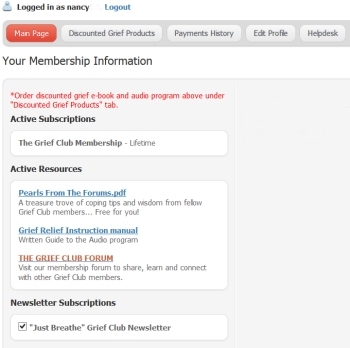 [Visitors can browse, but only members of The Grief Club can post or comment]. 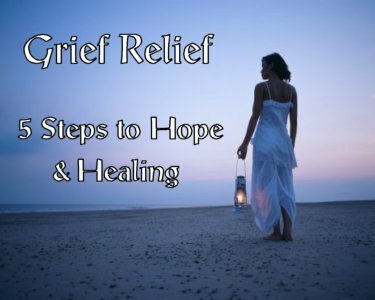 Our bimonthly newsletter/ Grief E-zine "Just Breathe", with the latest bereavement research and news, interesting new excerpts from the forums, practical and useful coping ideas and techniques. Private free access to Pearls from the Forums, updated periodically with the best insights, wisdom and advice on coping with grief you will find anywhere. All from fellow Grief Club members. As we transition from the Yourspace Blog to a Forum and offer formal memberships, we require a one-time, small membership fee. Why have we decided to make this change? 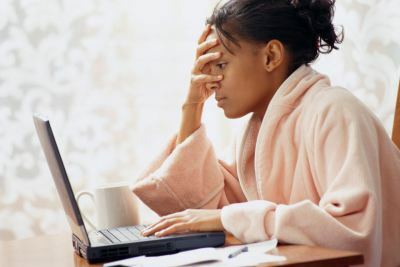 As a free-access blog, we were being inundated with multiple posts from spammers and spellcasters from Nigeria (really). Requiring a minimal signup fee will eliminate all that (time consuming and useless) trash from the forums. Any one of the 4 offerings above is more than worth the low one-time-only $10 LIFETIME membership fee. But sign up today, and you get ALL FOUR! Not only that, rest easy; membership is guaranteed. We feel so sure that you will benefit enormously from your membership in The Grief Club that we provide a 60-day no-questions-asked guarantee. So try it out for 60 days and if you don't agree that membership is worth $10 many times over, we will cancel your membership and refund your fee, hassle free. 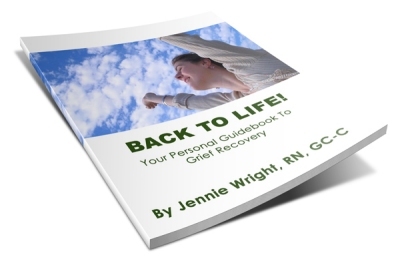 Sign up today and join in Recover-from-grief's premier Forum and The Grief Club... where everyone is waiting with open arms to help YOU cope with YOUR grief. Remember, "Grief shared is grief diminished".